Prenuptial gathering with friends Regina and Irving Kirsbaum, and friends/witnesses at wedding Helga Seligmen and Mark London. The photo was taken a few weeks before their wedding on January 6, 1951 in Hamburg Germany. 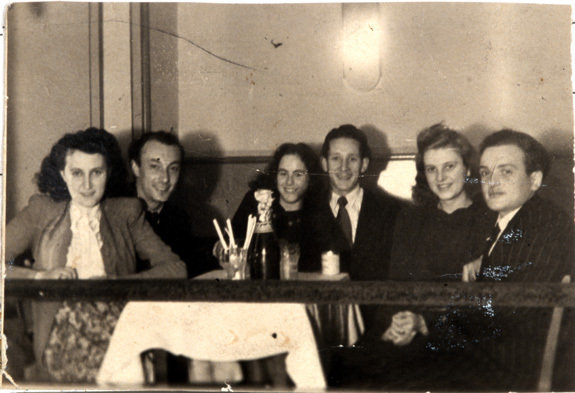 Left to right: Regina Kirsbaum, Irving Kirsbaum, Helga Seligmen, Mark London, Erika Blass, Harry Blass.